Get More Effective Goal Setting by Trying One Powerful Activity! Effective goal setting means you setting goals that create the maximum value for you. It's about finding your own way. Read on to try a goal setting activity which will lead to the kind of progress you won't regret. Where are we going to again? The goals you choose now are so important. Choosing wisely now will influence your future more than you can imagine. If you can access the insight to choose goals that really mean a lot to you now... Goals that are really close to your heart.... That you would be delighted to achieve... Well enough said I think! The game below can help you do this and only takes 5 mins of your time! Have a pen and paper, or your phone handy. This game aims to assist you in finding out who you most want to be, what is most important to you. There is no one else like you. This is a scientific fact. Not a single individual on the entire planet is identical to you. Whatever way you look at it, physically, in terms of your huge number and variety of experiences, your DNA, your personality, you are unique in a very profound sense. This is something you want to consider deeply when setting your vision for the future. Really concentrate, visualise, imagine... it is your ACTUAL last few moments before death. Really get in to character. Imagine yourself as an old man or women. Lie down and speak in a frail and dying voice if that helps you. Can whatever you can to help it feel real. Imagine you are having a conversation with your closest friend in the hospital bed. What is your biggest and clearest regret? What is the one thing you wish you done more of? Record the answers that come to mind. This can become the starting point or an important addition to your vision in life. I am quite entrepreneurial and was surprised that when I played this game recently my biggest regret was that I wish I had spent more time with my mum. Luckily it's not too late. This is what I mean when I talk about effective goal setting; another way of putting it would be wise goal setting, insightful goal setting, or well chosen goals. 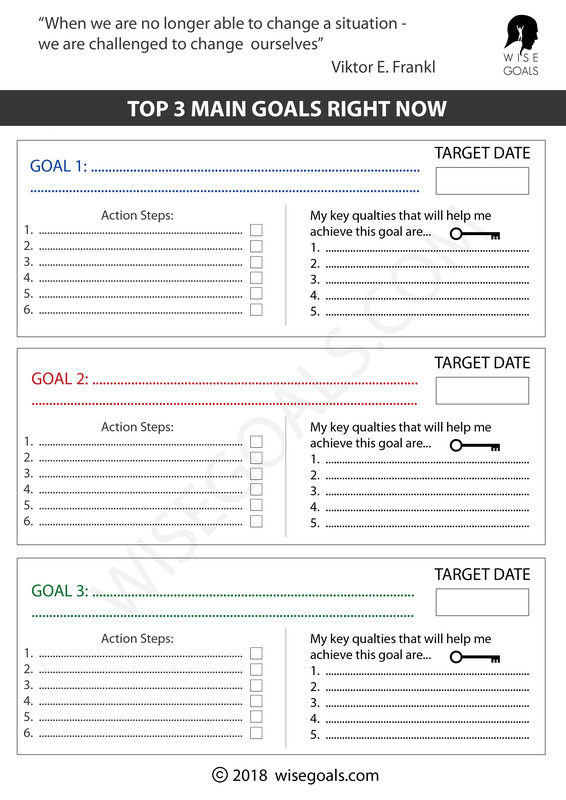 Now you're ready to set some goals maybe you want to check out these free worksheets to walk you through the whole process easily. Successful Goal Setting - How to guarantee success in your approach. Goal Setting Games - How to make goal setting fun. Many thanks to the kind people below who let me use their art work. 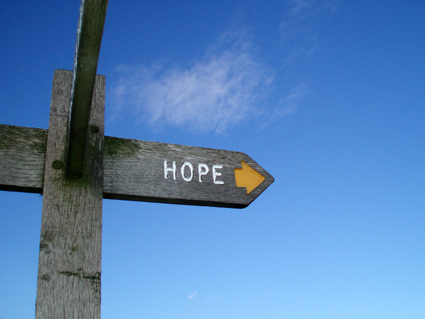 Hope by pol sifter. Attribution 2.0 Generic.